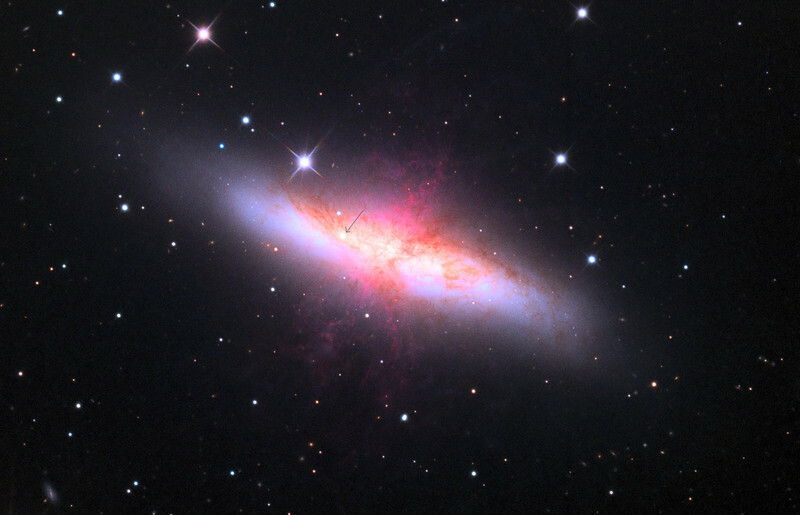 Supernova 2014J in Messier 82 (M82). Arrow shows position of SN. 32 inch Schulman telescope with STX camera on Mt. Lemmon, AZ. Data capture and reduction by Adam Block, University of Arizona. L(from color data)RGB processing by JDS using CCDStack, Photoshop CS6, and Noise Ninja.